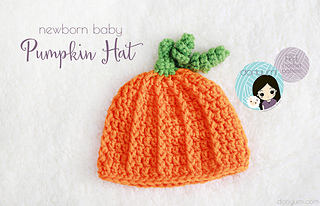 A cute little pumpkin hat for newborn babies, up to 3 months old. Great for use as a photography prop or at the pumpkin patch! 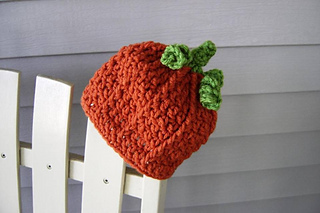 Use any heavy worsted weight yarn with this quick & easy pattern!